At bare we are always looking for great products! As new companies sprout and old companies modify, we change our lines to keep current with products that work the best and use clean ingredients. Come in for a FREE product consultation! Bring your products in and we will help you sort through what you have to get you the best ingredients for your skin and the best results. 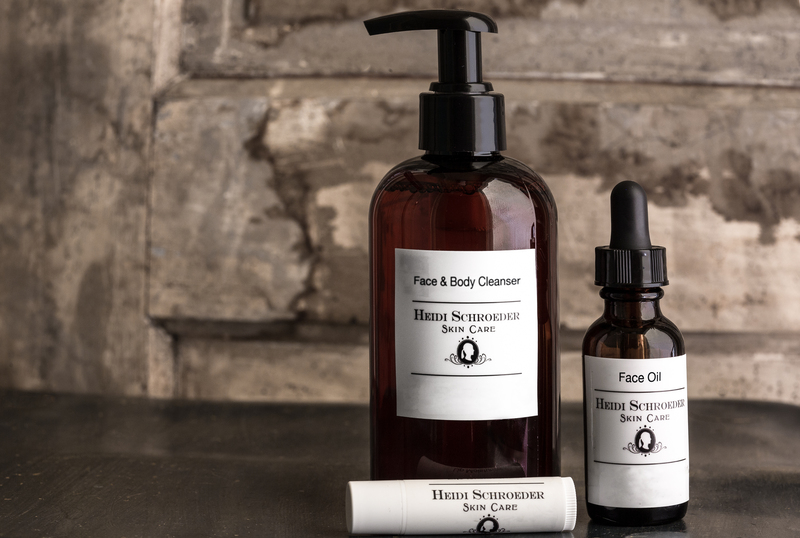 Heidi Schroeder Skin Care is our natural skincare line. The cleanest ingredients at a great price! PCAskin is our medical line of skincare. PCAskin will have powerhouse ingredients like acids, retinol, hyaluronic acid, vitamin C, benzoyl peroxide, etc. mixed in to bases that are full of natural ingredients. Jane Iredale powders act as your base, powder, concealer AND SPF! These powders have many uses and are anti-inflammatory, certified water resistant for up to 80 minutes, inert to bacteria, non-comedogenic, oil free, FD&C dye free, and fragrance free. Jane Iredale is full of clean ingredients!